Why do you need food? Why should you wash your hands? How can you prevent accidents by taking care? Find out in four colourful books designed to improve your reading fast. 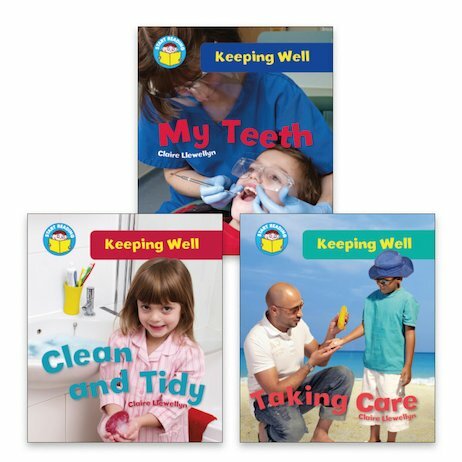 You’ll learn all sorts of ways to stay healthy, shown in simple examples and colour photos. You’ll also build your vocabulary with a mix of new and familiar words.